Bolton Wanderers could lose a number players in January with several keen to move on after they were not paid by the club. The Trotters have had serious financial problems for a long time now and the current squad have still not been paid their November salaries. Whilst they were told the issues would be resolved by tomorrow, this is not the first time the players haven’t been paid on time. And, according to the Daily Mail, many first-team players have told their agents to find new clubs in January as they look to leave Phil Parkinson’s struggling side. “There is a feeling now among some players that enough is enough. A number have asked their agents to find them moves away. They are sick of being let down,” a source told the paper. 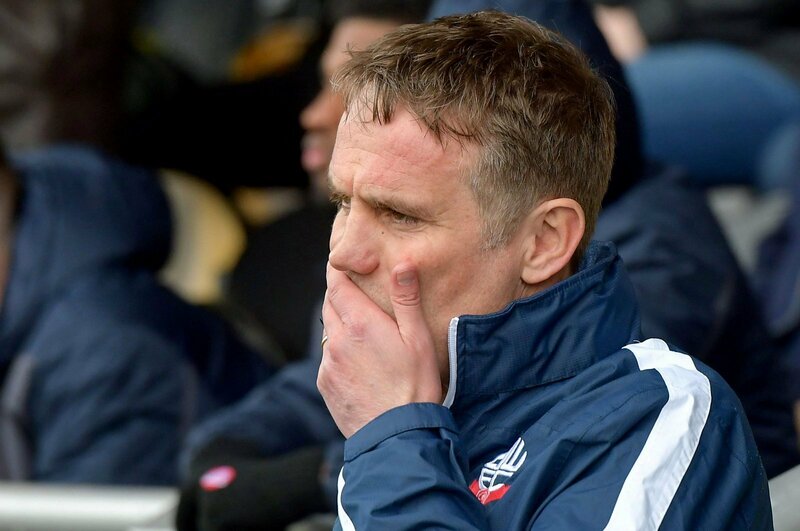 The report also states that Parkinson, along with his staff, have not been paid bonuses for keeping Bolton in the Championship last season. As it stands, the team are currently 23rd in the Championship, although they are only in the bottom three on goal difference as it’s extremely tight near the bottom now. This is probably to be expected and Bolton fans will understand why the players want to leave and their anger will be directed at the chairman. It’s simply not on to put the players in this position, particularly as it’s happened before. Obviously, it’s going to be a massive problem in terms of keeping the club in the Championship, but at the moment, Bolton have even bigger concerns that that. Thoughts, Bolton fans? Let us know in the comments below.